Mt. Juliet, Tenn. – The day after Christmas, Mt. Juliet Police arrested a real Grinch after he was located in a car he stole on Christmas day. As the stolen car victim was dropping off gifts at a home in west Tennessee, the offender took the opportunity to steal the car. Since the vehicle was left unlocked and running, it made for an easy steal. The offender, identified as Alex Cartwright, 24, of Memphis, was found sleeping in the car in Mt. Juliet. Sergeant Fulton, who was investigating a report of a suspicious vehicle in the area, spotted the stolen 2011 Mitsubishi Gallant parked behind the Sprint store on Adam’s Lane around 1:30 p.m. on Thursday. Fulton was not immediately aware of it being stolen, but a quick computer check alerted Fulton that car was stolen. The victim reported the car stolen to Collierville Police Department, and they entered the vehicle’s information into a national database so other law enforcement agencies would be aware. Fulton and other officers approached the stolen car and found Cartwright sleeping in the back seat. The investigation revealed that Cartwright stole the car and stopped in Mt. Juliet to beg for money. 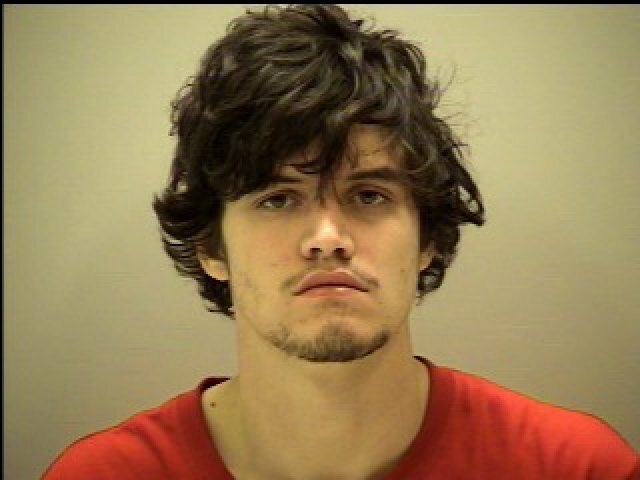 He was arrested and booked into the Wilson County Jail on a $15,000 bond, charged with Theft of Property. He is scheduled to appear in court on January 9, 2014.